It’s really simple, you can shop at your favourite shops via TheGivingMachine and a percentage of your shopping bill will converted into a cash donation to us at no extra cost to you! With over 1,500 stores participating including Amazon, John Lewis and Tesco taking part, you can really help make a difference, without even noticing! There are over 8,000 charities and schools taking part in this programme, with the successful causes raising £1,000’s every year! 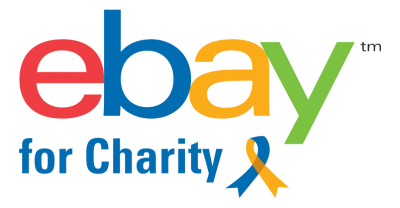 If you buy something on Ebay, you can choose to donate an additional amount to Dementia Adventure at the checkout. Amazon will donate 0.5% of the net purchase price (excluding VAT and shipping fees) of anything you buy to Dementia Adventure. All you need to do is go to smile.amazon.co.uk and choose to support Dementia Adventure by typing in the name in the box or the charity number 1163163. Remember that each time you shop on Amazon, you need to shop via smile.amazon.co.uk for us to get the donation.